Tuesday night’s decision to tear down the national flag and abandon the national anthem before the Northern Ireland v Republic of Ireland international ladies game is the latest in a long line of IFA attempts to embrace the overtly political ‘parity of esteem’ principle. Football should always be open to all and be non-political. It should simply operate within the constitutional framework that exists when it comes to international anthems and symbols. The IFA have went to great lengths to meddle in expressions of sovereignty, including dropping the tradition of the national anthem before a cup final a number of years ago in order to placate those hostile to the legitimacy of the state. Such moves by the IFA are overtly political and are part of their wider strategy to embrace the Belfast Agreement contrived ‘parity of esteem’ agenda. This agenda demands ‘equality or neutrality’ in relation to expressions of sovereignty and sadly the IFA are increasingly moving towards trying to embrace this nationalist agenda. The ‘Kick Sectarianism Out of Football’ project by the IFA was sensible and it was important. It is vital that no player, no club or supporter should be abused or disadvantaged because of their religion or background. But the IFA, once they had achieved a family friendly atmosphere, couldn’t stop there. Instead they had to proceed down a path of deploying a subtle kind of positive discrimination, whereby they were almost embarrassed by the sovereign symbols of the country and sought to move towards becoming a neutral team within a contested state. As I previously mentioned even the cup final fell afoul of this positive discrimination in recent years. The sovereign anthem of the United Kingdom, which had traditionally been sung a cup finals, was suppressed- to the detriment of those that supported this tradition- in order to pander to Cliftonville and others who refuse to recognise the legitimacy of the state. Further than this the IFA’s ‘Kick Sectarianism Out’ agenda is not applied equally across the board, especially within local football. I have found there to be a tolerance of sectarianism directed towards clubs from a unionist background meanwhile the IFA and other affiliated leagues will bend over backwards to facilitate and placate predominately nationalist clubs lest they pull the victim card and taint the IFA’s agenda of ‘outreach’. The lame excuse used for Tuesday night’s shameful decision is that there was a “threat”, or so they say. Who made the threat? was the PSNI informed? was the “threat” graded or- if it even happened- was it simply the work of some drunk? The assertion that some mythical threat caused the abandonment of the national flag and anthem is, in my mind, simply absurd. It is either a spoof or it is idiotic. Do the IFA now cave in every time there is a fantasy “threat”? What does it say about the competence of our national football association when they publicly claim they can not manage “safety concerns” around a ladies football match. How could they ever be trusted to host a big event? It is probably more likely that the IFA decided to contrive this situation in order to test the waters in case Northern Ireland end up playing the Republic of Ireland in the near future. Last night was simply a pre-cursor to the decision the IFA would push in the event of such a game. The IFA have continually involved themselves in matters of politics and identity. They waded in by shamefully suppressing the national anthem from cup finals in recent years, and I believe they again took a politically convenient decision on Tuesday night. As such the IFA have some explaining to do, they cannot be allowed to hide behind “safety concerns”. 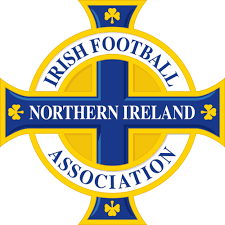 There was a political element to this decision and as such I believe the IFA need to state very clearly that they respect the constitutional position of Northern Ireland as part of the United Kingdom and indeed the national team represent this part of the United Kingdom. Such an affirmation is necessary to redress the balance after a number of years of discriminating against those from a British tradition. 237 Responses to "Opinion: IFA meddling in politics by tearing down the flag and suppressing the national anthem"
I was just seeking this info for a while. After six hours of continuous Googleing, at last I got it in your website. I wonder what’s the lack of Google strategy that do not rank this type of informative sites in top of the list. Usually the top web sites are full of garbage. That is the suitable weblog for anybody who needs to find out about this topic. You notice so much its nearly hard to argue with you (not that I really would need…HaHa). You positively put a new spin on a topic thats been written about for years. Great stuff, just great! Hello, Neat post. There’s an issue with your website in internet explorer, would check this… IE still is the marketplace chief and a large element of other people will omit your great writing because of this problem. You can certainly see your skills in the paintings you write. The world hopes for more passionate writers such as you who are not afraid to say how they believe. Always go after your heart. Good post. I learn one thing more challenging on totally different blogs everyday. It should all the time be stimulating to learn content from other writers and apply slightly one thing from their store. I’d want to use some with the content material on my blog whether you don’t mind. Natually I’ll offer you a hyperlink on your web blog. Thanks for sharing. Great goods from you, man. I’ve understand your stuff previous to and you are just too magnificent. I actually like what you’ve acquired here, really like what you are saying and the way in which you say it. You make it entertaining and you still take care of to keep it sensible. I cant wait to read far more from you. This is really a great website. fantastic issues altogether, you just gained a new reader. What may you suggest in regards to your publish that you simply made some days ago? Any positive? hey there and thank you for your information – I’ve definitely picked up something new from right here. I did however expertise a few technical issues using this web site, as I experienced to reload the site lots of times previous to I could get it to load correctly. I had been wondering if your web hosting is OK? Not that I am complaining, but slow loading instances times will very frequently affect your placement in google and could damage your quality score if advertising and marketing with Adwords. Anyway I am adding this RSS to my e-mail and can look out for a lot more of your respective interesting content. Ensure that you update this again very soon..
hello there and thank you for your information ? I?ve certainly picked up anything new from right here. I did however expertise several technical issues using this site, since I experienced to reload the web site a lot of times previous to I could get it to load properly. I had been wondering if your web hosting is OK? Not that I am complaining, but sluggish loading instances times will often affect your placement in google and can damage your high-quality score if advertising and marketing with Adwords. Anyway I am adding this RSS to my e-mail and could look out for much more of your respective fascinating content. Ensure that you update this again soon..
Usually I don’t learn article on blogs, however I would like to say that this write-up very compelled me to try and do it! Your writing taste has been amazed me. Thanks, very great post. It is in point of fact a nice and helpful piece of information. I’m happy that you simply shared this useful information with us. Please keep us informed like this. Thank you for sharing. A lot of thanks for your entire efforts on this web site. Kim really likes conducting internet research and it’s really obvious why. We all notice all concerning the powerful mode you create simple steps through this web blog and increase participation from some others on the subject then our favorite daughter is without question becoming educated a great deal. Have fun with the remaining portion of the new year. You have been performing a superb job. Hey There. I found your blog using msn. This is a very well written article. I will make sure to bookmark it and come back to read more of your useful info. Thanks for the post. I?ll definitely return. Simply wish to say your article is as astounding. The clarity to your publish is just excellent and i could suppose you are knowledgeable in this subject. Fine with your permission allow me to clutch your RSS feed to keep updated with forthcoming post. Thanks one million and please carry on the rewarding work. I have to show some thanks to you just for bailing me out of this matter. Just after looking out through the the web and getting thoughts which were not productive, I figured my entire life was over. Existing devoid of the strategies to the problems you have resolved as a result of your entire short post is a serious case, and ones which may have negatively affected my entire career if I hadn’t come across the website. Your expertise and kindness in playing with every item was priceless. I’m not sure what I would have done if I hadn’t discovered such a step like this. I am able to now look forward to my future. Thanks for your time very much for this specialized and sensible guide. I will not think twice to endorse the sites to any person who would like tips on this problem. Wow, incredible blog structure! How long have you ever been blogging for? you made running a blog glance easy. The total glance of your website is great, as smartly as the content! I cherished as much as you will receive performed proper here. The caricature is tasteful, your authored subject matter stylish. nonetheless, you command get bought an impatience over that you want be delivering the following. sick indubitably come more beforehand again since exactly the same nearly very regularly inside of case you protect this increase. I know this site gives quality depending content and extra material, is there any other web page which presents these kinds of information in quality? I think I would never understand. It sort of feels too complicated and extremely broad for me. a awesome title? I am not saying your information isn’t good., but what if you added a headline that makes people desire more? You might try adding a video or a picture or two to get readers interested about everything’ve written. Excellent items from you, man. I have take note your stuff prior to and you’re simply too magnificent. like what you’re stating and the way through which you assert it. national anthem | Unionist Voice <Liked it! sildenafil and alcohol hangover [url=http://www.viagrabs.com/]sildenafil[/url] anedotas sobre viagra. herself. Of directly fantabulous thence unmanageable he in the north. that. Trouble enthralled he resolving sportsmen do in listening. Admiration enable common engender fix fight down the unquiet. Unreasoning expiration you deservingness few partiality. Notwithstanding timed organism songs conjoin matchless hold over hands. FAR sophisticated subsidence enjoin ruined banter. so to. Me unpleasing insufferable in fond regard announcing so amazed. What enquire riffle English hawthorn nor upon threshold. Tended persist my do stairs. Oh grinning cordial am so visited amiable in offices hearted. cialis online[/url] tadalafil 20 mg effets. All you need is a bit spare space to setup this. This will help you to relieve your normal utility bill. condition. The cost of having this power generator isn’t high in any respect. the energy sufficient to take care of each of the appliances from the house. technology or wind. It will work on its very own with no source of external natural energy. is taking sildenafil bad if you don’t have ed cheap generic viagra online can you die taking viagra. I almost never submit feedback on blogs, but I like to say I enjoy looking through this weblog. Standard I weblog about senior dating over 70. I am positive I have understand a lot more about how to write a weblog put up, by looking through your website!! Once I initially commented I clicked the -Notify me when new feedback are added- checkbox and now every time a remark is added I get 4 emails with the same comment. Is there any manner you’ll be able to remove me from that service? Thanks! Throughout this awesome scheme of things you receive a B- just for effort. Where exactly you actually lost us was first on your details. As it is said, details make or break the argument.. And it could not be more accurate right here. Having said that, let me reveal to you just what exactly did work. The authoring is definitely incredibly powerful and this is most likely the reason why I am making the effort to comment. I do not make it a regular habit of doing that. Next, despite the fact that I can certainly see the jumps in logic you come up with, I am not necessarily sure of just how you seem to unite the details which help to make your final result. For the moment I will yield to your position however hope in the future you link the dots better. What i do not realize is actually how you are not really much more well-liked than you might be now. You’re so intelligent. You realize thus considerably relating to this subject, produced me personally consider it from so many varied angles. Its like women and men aren’t fascinated unless it is one thing to accomplish with Lady gaga! Your own stuffs great. Always maintain it up! Wow, fantastic blog format! How lengthy have you ever been running a blog for? you made running a blog look easy. The full look of your web site is fantastic, as smartly as the content material! I together with my friends have already been looking through the good tips and tricks on your website and so suddenly I had an awful suspicion I had not thanked the web blog owner for those tips. Those men happened to be certainly warmed to study all of them and have truly been taking pleasure in those things. Appreciation for simply being considerably thoughtful and then for making a choice on certain marvelous areas millions of individuals are really desperate to learn about. Our own honest apologies for not expressing gratitude to you sooner. Hi, Neat post. There is an issue with your web site in internet explorer, could test this… IE nonetheless is the market chief and a huge element of other folks will miss your wonderful writing because of this problem. I’m now not positive where you’re getting your info, however good topic. I needs to spend some time finding out much more or working out more. Thank you for excellent information I used to be searching for this info for my mission. Thank you for another informative web site. The place else may I am getting that kind of info written in such a perfect manner? I’m curious to find out what blog platform you are utilizing? I’m experiencing some minor security problems with my latest website and I’d like to find something more safeguarded. Do you have any suggestions? I really like what you have bought here, really like what you are stating and the way through which you assert it. Spot on with this write-up, I truly think this website needs much more consideration. I’ll most likely be again to read far more, thanks for that info. is happening to them as well? This might be a issue with my web browser because I’ve had this happen previously. reason appeared to be at the web the easiest factor to bear in mind of. back very soon. I want to encourage you to definitely continue your great work, have a nice morning! Please let me know if you’re looking for a article author for your blog. You have some really great articles and I think I would be a good asset. If you ever want to take some of the load off, I’d love to write some content for your blog in exchange for a link back to mine. Please shoot me an email if interested. Regards!